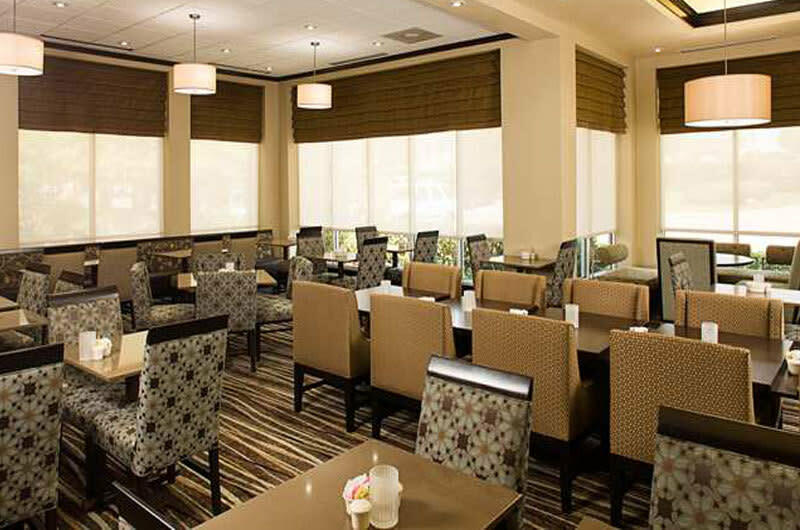 The Garden Grille is the restaurant found inside the Hilton Garden Inn. Wrapped in Hilton tradition, it has taken local market favorites and enhanced them with Hilton hospitality. 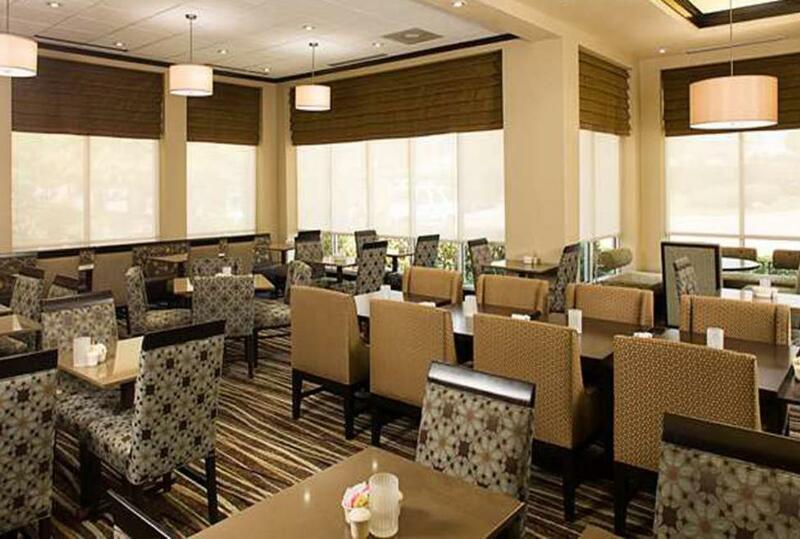 Whether staying at the Hilton Garden Inn or just looking for a good meal, remember the Garden Grill. A cooked-to-order breakfast - featuring our signature waffles with delicious toppings or an omelet made to order with fresh eggs is offered daily in the Garden Grille restaurant. Enjoy a salty, sweet or healthy snack from our 24/7 Pavilion Pantry convenience mart adjacent to the front desk. At the bar or in front of the crackling fireplace enjoy a glass of wine, cold beer or cocktail in the Pavilion Lounge.